When I was lost, confused, bullied, misunderstood, misunderstanding, overwhelmed, scared, lonely, alone, everything, water was always there. Water makes sense to me. Life didn't always, but water always did. That's why I think it's so backwards, this idea of teaching people to swim so that water doesn't kill them. I teach people to swim so that water can save them. 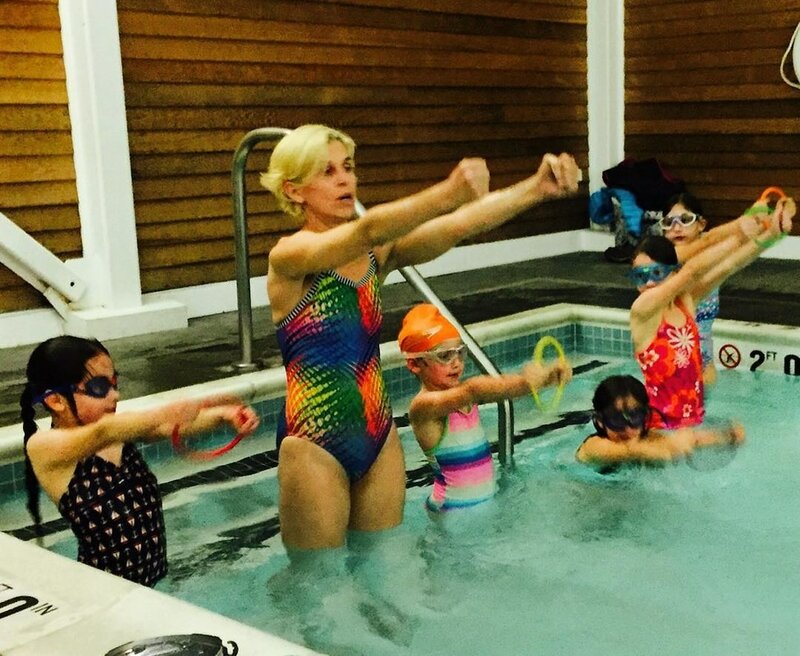 My mother taught me everything I do during a swim lesson. Meet people where they are at. Make sure every person feels comfortable. Ensure that everyone is having a good time. If you give or do something for one person make sure you do the same for everyone else there. I have loved swimming ever since I was four years old when my Mom took me to swim lessons at the Prospect Park YMCA in Brooklyn. The instructor there made swimming so much fun that I loved it on the spot. As I grew, swimming played a major role in my everyday life. When I was five years old and in first grade, I tried out and became the youngest swimmer to ever join the Holy Name Swim Team. When I was in eighth grade, we lost our swim team and I joined a club team at the Prospect Park YMCA. I swam for the PPY for the next five years, seven days a week. I could not get enough of it. I went to New York State Championships, National Championships, Empire State Games and meets all over the Metropolitan area. My life was amazing. I would sleep in my bathing suit to be ready for morning workout. Swimming gave me just as much as I gave it. My family spent our summer weekends at the Coney Island CYO Pool in Brooklyn. I don’t even know when I ate since I was only ever in the pool. 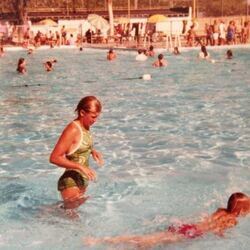 I would spend all of my time in the water, swimming with whomever happened to get in at the time….when everyone got hot from playing basketball, we’d have dolphin races up and down the pool. When others finished playing volleyball, we’d go off the diving boards for a while. I would hang out in two feet of water, four feet of water, twelve feet of water. Didn’t matter. It was water. The love I have for swimming knows no bounds. I love floating on my stomach. I love floating on my back. I love swimming in pools. I love swimming in lakes. I love swimming in oceans. I love everything about swimming. I coached my first swim team while I was still in high school. I went on to coach several elementary schools and high schools while I was in college (it was pretty hilarious. The kind of thing where I had half the team piled in my car just to get them to swim meets). After college, I began coaching at the National Level and learned a lot. My goal for anyone that I teach is to foster this same love of swimming. Swimming is a lifelong skill that can take many forms from fun and fitness to competitive racing. All of this should be by what drives you. Swimming is a beautiful, fun, inspiring thing. My goal is for those I teach to leave the pool hungry for more……or at least satisfied with what they got! *Note: This location is only for those aged 3 and over, who are fully and completely potty trained. To promote a positive sports experience that will teach lifelong lessons through personal growth and healthy competition. Guiding Principles: Community: Unifying youth sports and community partners across Essex to create a consistent, positive experience through common goals, messages, expectations, and actions. Athletes: Educating athletes in a culture that expects positive sportsmanship, attitudes, effort, and commitment. Coaches: Providing coaches with opportunities to improve their coaching skills and Creating clear expectations of coaching behavior and philosophy, monitoring their efforts through evaluation, and recognizing their contributions. Parents: Encouraging positive parent involvement and support of athletes, coaches, and officials through clear communication of the goals and expectations of the program. Officials: Establishing a partnership that supports officials and recognizes their role in managing a positive sports experience.